Registration for our Summer 2019 Institute is now open. 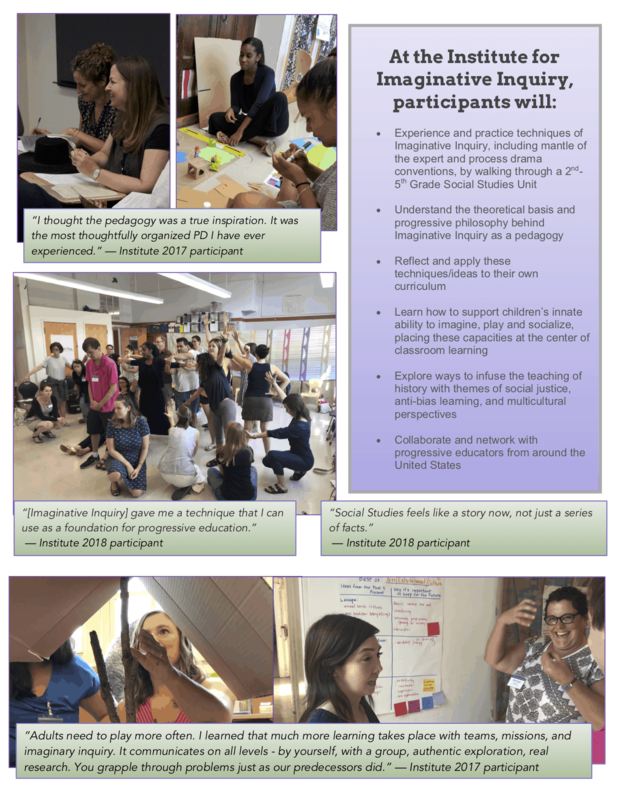 Join us in Chicago at the Catherine Cook School for our unique, 3- day immersion workshop! Click this link to go to our “Upcoming Events Page” for more information. Igniting imagination; inviting exciting student engagement and action in the realms of possibility.